I love watches. I recently became enamored of vintage watches. 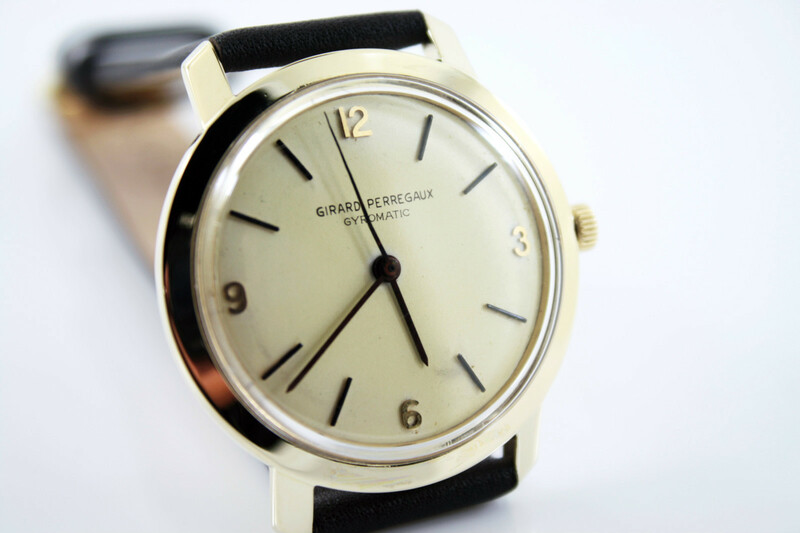 I bought this '70's vintage 14K gold Girard-Perregaux from an eBay auction. The jeweler said, "I'd insure this for about $2500". News to me since my auction was <$500 shipped. Love a bargain. I knew little about G-P except that the watches I saw online were ridiculously expensive - WAY out of my price range for sure. I sold my Omega Seamaster (it was just TOO heavy), pocked money and got this cool retro watch! Now I have a super nice, dressy, automatic winding heirloom. Now the question is, who to leave it to?